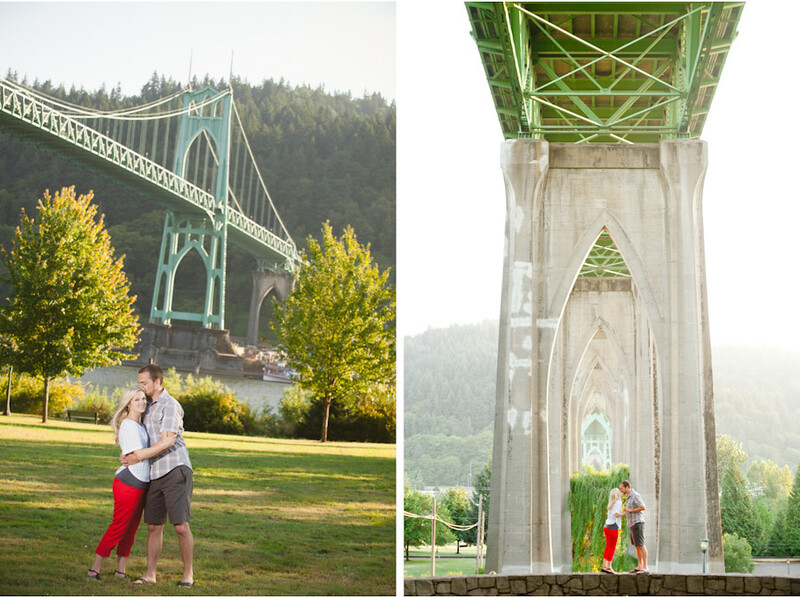 There are so many phenomenal locations for portrait session in and around Portland, we sometimes forget that keeping it local works just as well. 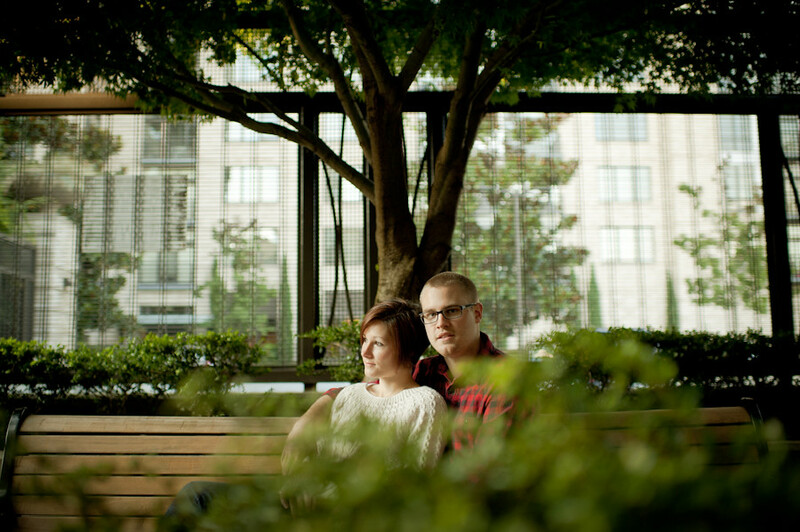 Plus, it’s a total bonus when our clients are in the neighborhood! 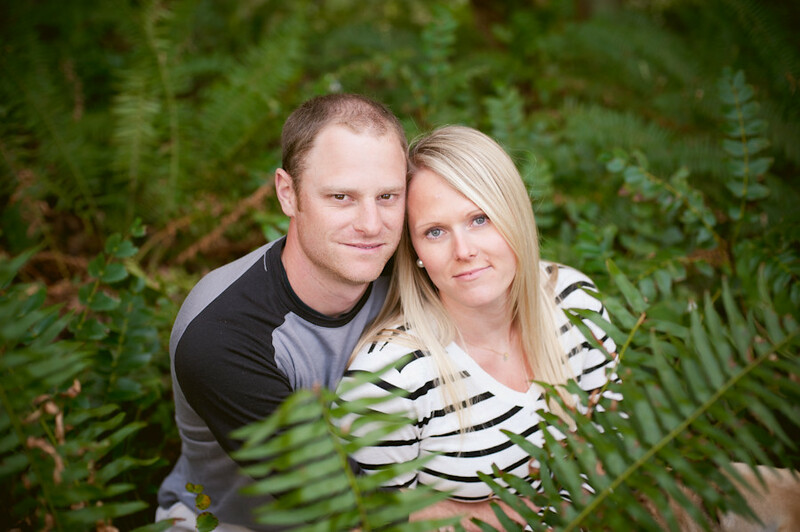 For this session, we started at Rachel & Kori’s North Portland home. After photos with their pets at the house, we walked to one of their favorite neighborhood spots, The Box Social (which also happens to be one our favorite places to grab a cocktail), taking advantage of the great light & buildings along the way. An evening well-spent, indeed! 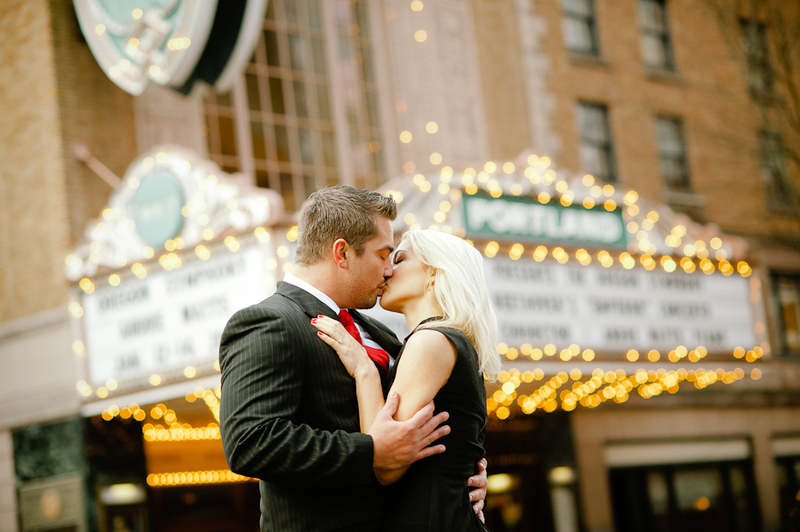 For their engagement session, Christina & Matthew wanted a classic “night-at-the-theater” downtown feel. 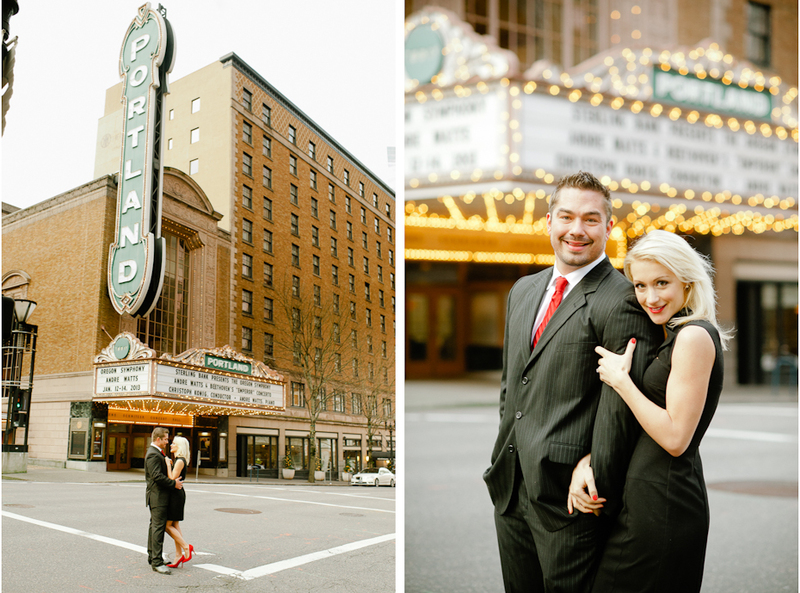 We started with drinks at the Heathman Hotel, and then hit the streets outside the Arlene Schnitzer Concert Hall. Some things never go out of style! 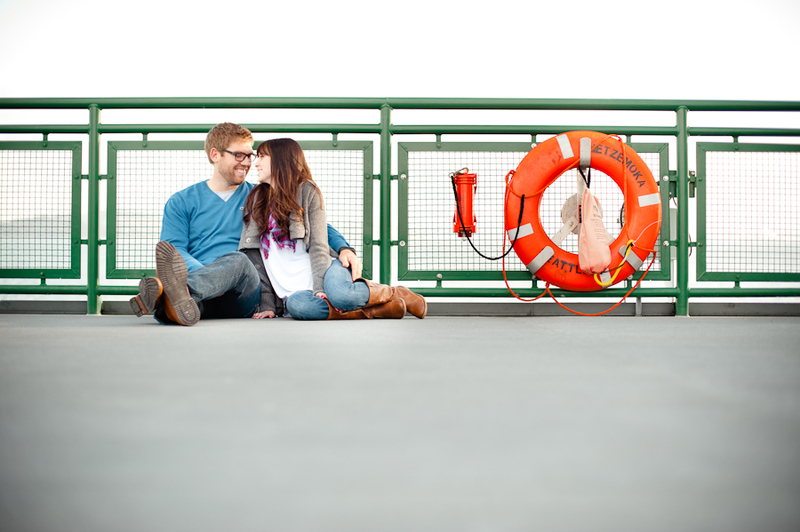 Ihave always wanted to shoot an engagement session on a ferry, and finally got a chance to do so just after Christmas! 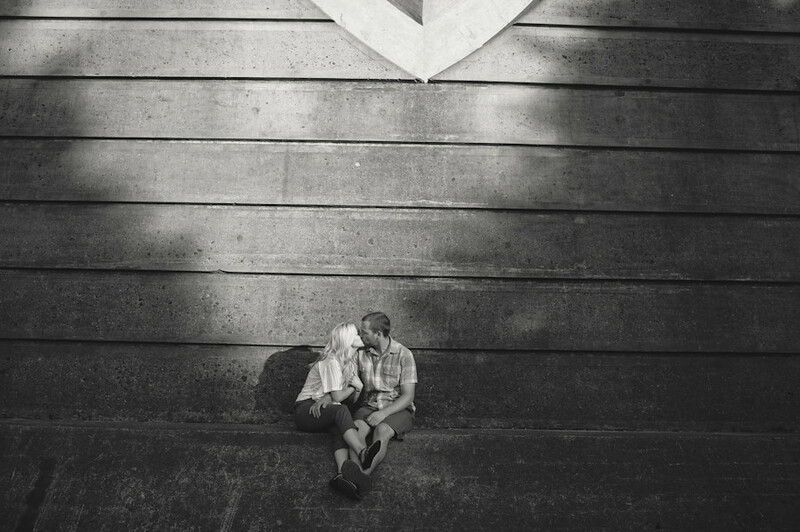 Zachary & Lynn were up from Arizona visiting family in Tacoma for the holidays, and wanted to shoot in a setting very different than what they were used to back home. Riding a ferry and walking the beaches of Puget Sound seemed like just the ticket. Somewhat miraculously, we were even treated to dry skies and a bit of sun! They must have brought a bit of the desert weather vibes with them. We had a great time, and as a bonus got to watch a baby seal on the beach & a sea otter having lunch. Thumbs-up, Pacific Northwest!! 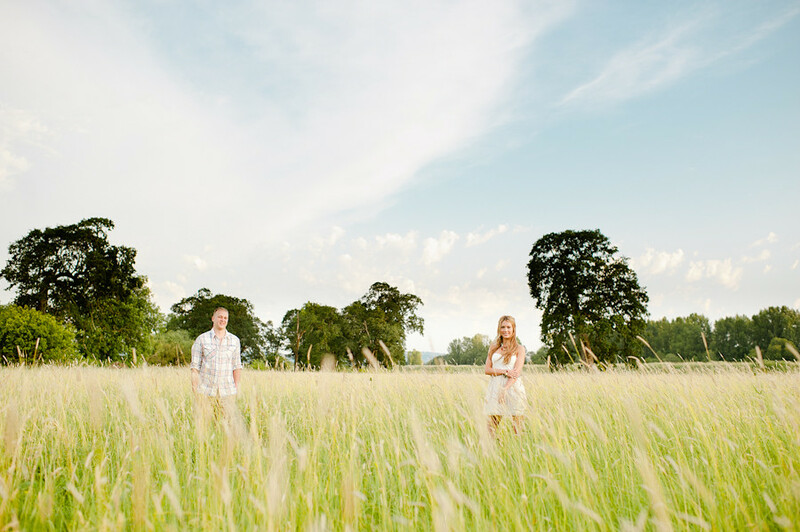 I met with Katie and Daniel this Summer on Sauvie Island while they were in town on a visit. 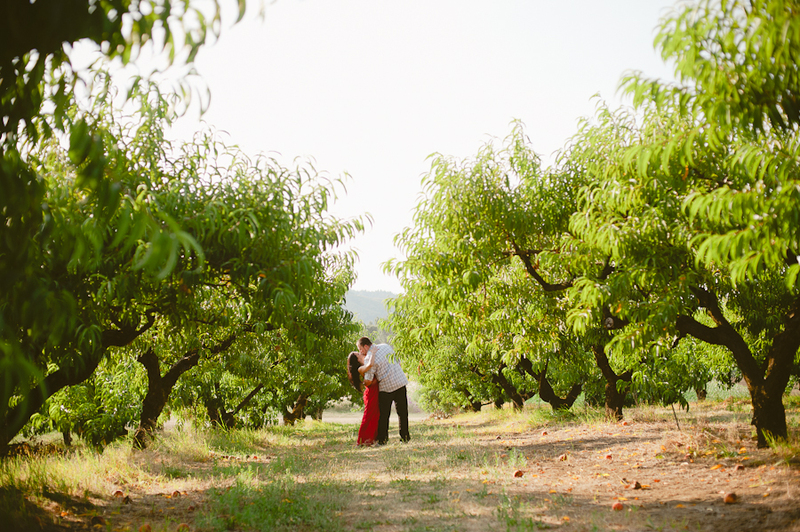 It was fun to get to know them while we explored the orchards and fields of flowers, and I am really looking forward to photographing their Mt. Hood wedding this Spring! 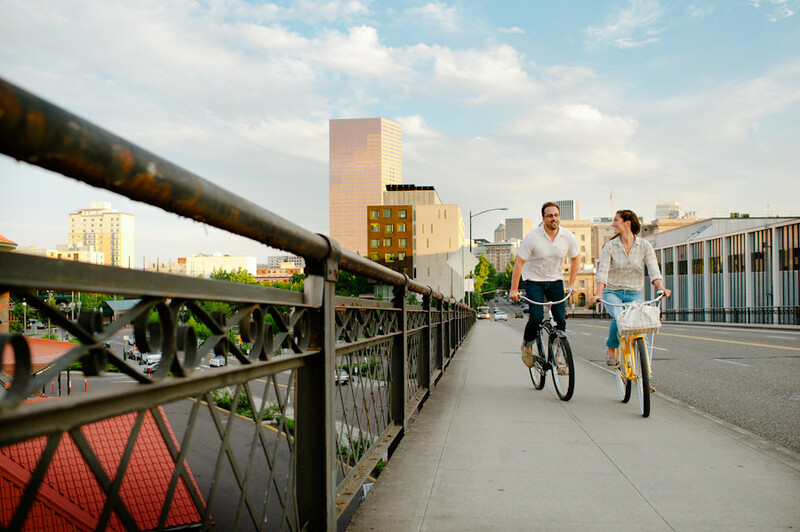 When Margaret asked if, instead of a traditional location-based engagement shoot, I might be interested in joining them for a zoobomb ride through downtown Portland ending up at Por Que No for margaritas, it took me about .012345 seconds to answer with a resounding “Yes!” Moral of the story: if you have an idea for a photoshoot that is unique to you, please let us know because we are all for it. If that idea involves a healthy dose of adventure, I’m in it 120%! 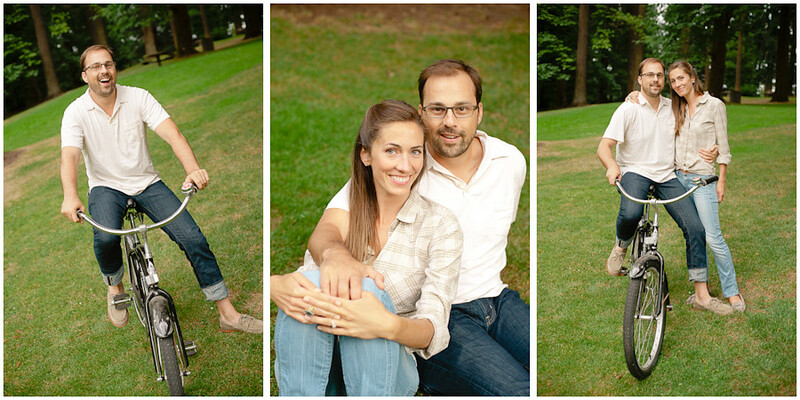 (ex: here is the setup I used on a few of these photos). 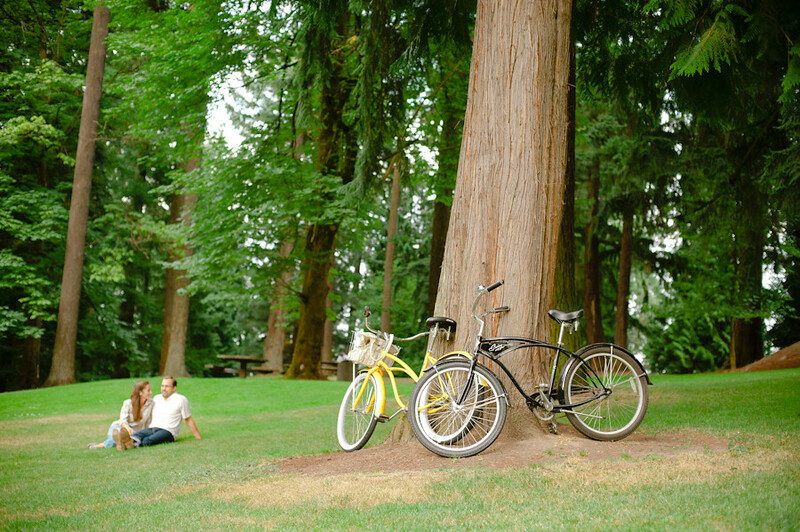 An evening in Portland’s Cathedral Park, with a quick jaunt to Sauvie Island. Ah, Sauvie Island in the Summer . 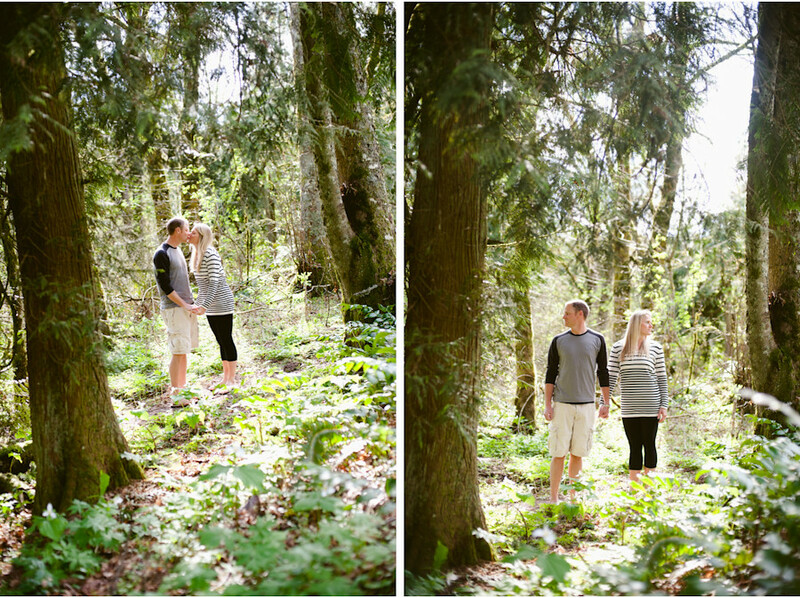 . .
A few favorites from a recent engagement session in and around Portland’s Forest Park with Kasey, Jeff, & their dog Kenzie. 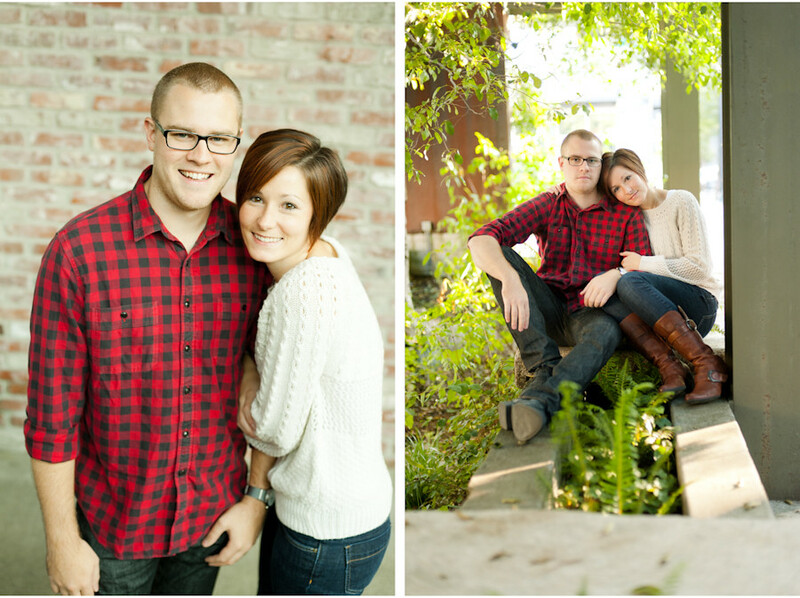 Casey & Emily are serious fun-spirited adventurers. 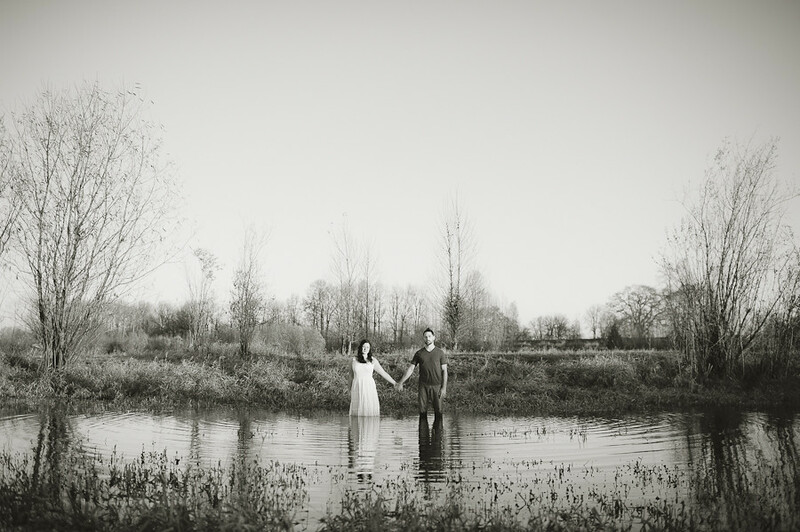 I don’t know too many people who would jump at the chance to stand in 40-degree water or train their dogs to sit on top of fence posts in the name of unique photography. They definitely know how to keep it interesting! A Fall afternoon in Portland’s Pearl District with Hannah, Sam, & their corgi Lincoln.